When visiting Nagoya, it is customary for me to look for a place that sells Nagoya style food. Nagoya is well known for its miso, rather its red miso. It is a very different type of miso compared to regular miso. I liken it to a Chinese sauce called Hoisin Sauce. It isn’t the same but it has similar tastes. 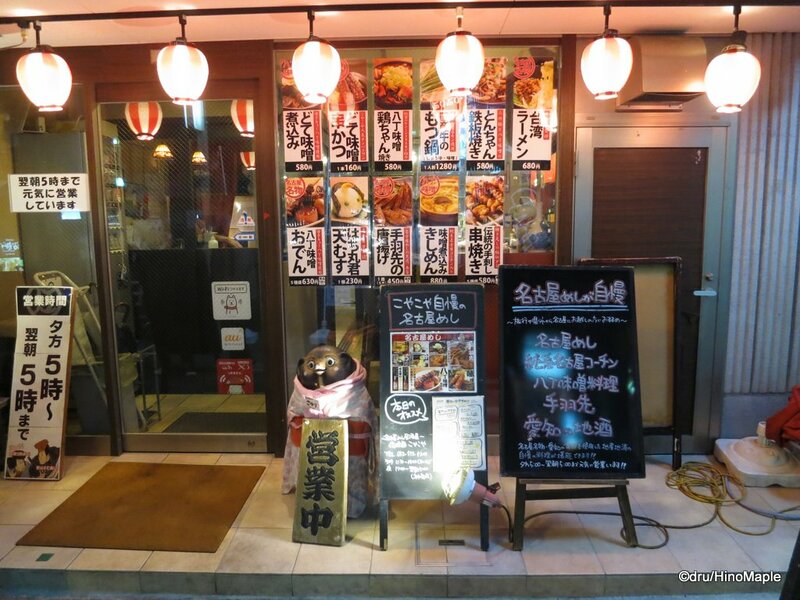 When I was in Nagoya, I stayed near Nagoya Station and just a block or two from my hotel was a series of Nagoya style izakaya. Most of the miso dishes are served in izakaya because they tend to be small dishes. 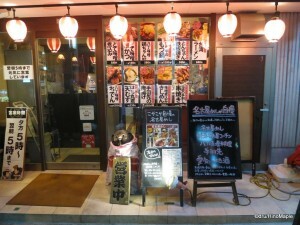 I walked around and next to the Toyoko Inn near the station on the east side was a small izakaya called Koya Koya. Outside they had a small stereo playing music loudly which turned me off a bit. I thought that inside they would have the same music playing loudly. I took a chance as the prices seemed reasonable and the other restaurant I was looking at seemed too expensive for what it was. I was happy to have entered as we entered and the restaurant was nearly empty. The first floor was nearly full but the second floor was empty. We had a table and the entire room to ourselves for most of our meal. Of course things did get busier as the night went on and more and more people started to come in after work. 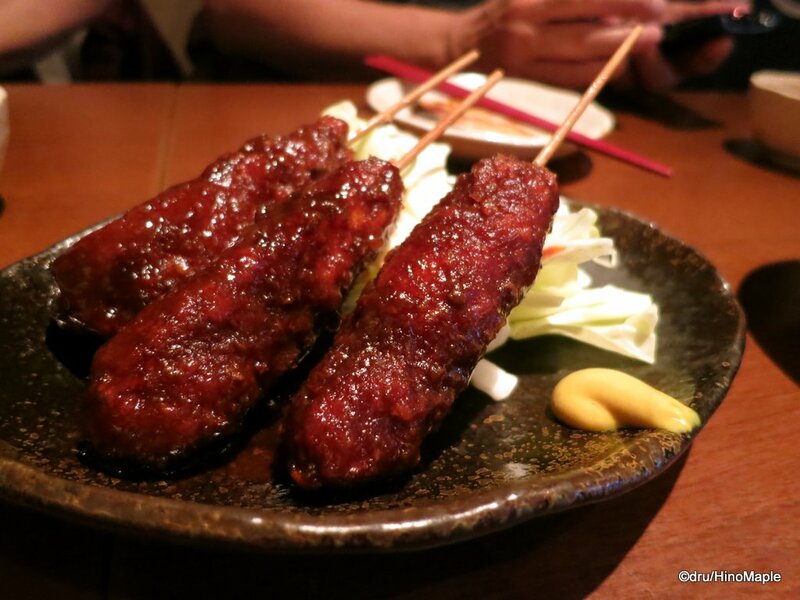 The menu at Koya Koya is no different to any izakaya but everything had a Nagoya theme. I ordered everything that had miso with it, including a dish that I didn’t expect to have miso. We started with the miso oden. Rather than using regular broth, they used red miso to flavour the broth and everything came out a very dark brown. It was delicious. I also ordered what I think is the doten miso. 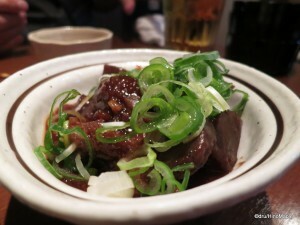 I’m not sure of the name but it was basically fatty pieces of pork in a miso sauce and green onions on top. It was well cooked for sure. Dinner with Nagoya food couldn’t be without the miso katsu and chicken wings. Spreading a miso sauce over katsu sticks (breaded and deep fried pork cutlets) is a very common dish. Chicken wings are also a famous dish from Nagoya. Everything was eaten very promptly and washed down with a beer. The dish that surprised me the most was the gyoza. 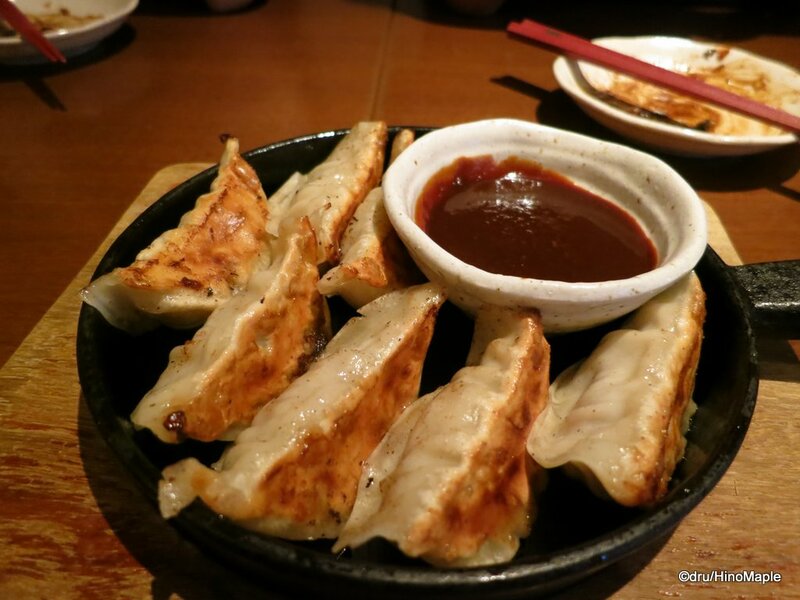 Rather than having the traditional soy sauce and chili oil for dipping, they had miso paste. It was a big surprise but delicious nonetheless. Eating at Koya Koya was fun and delicious. The people were friendly enough and I had a lot of food for a reasonable price. I was really happy with the choice. I would happily return again if I am in Nagoya. One thing that did strike me as strange when I left, the cigarette machine at the front of the izakaya was “unlocked”. Usually you need a Taspo card in order to buy cigarettes from a machine. It is a special ID card with an IC chip to prove you are of age. 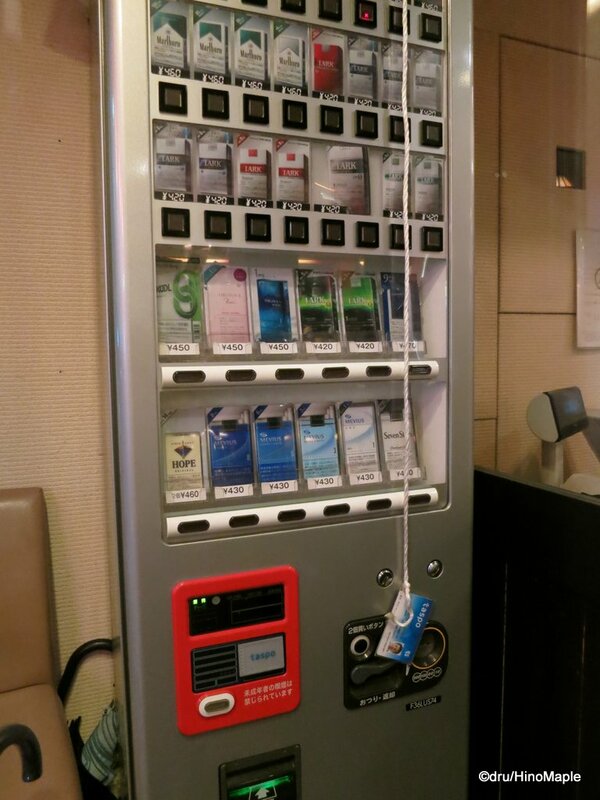 It is require of all cigarette vending machines but this store had an interesting way to get around it. One of the staff members, perhaps a manager, decided that they would put their own Taspo card and tape it to the machine. Given that the location of this vending machine was in the entrance, I found it hilarious, if not stupid, to do so. Any little kid could just quickly enter and get a pack of cigarettes and leave without anyone really noticing. I guess even in Japan, sometimes people are just too trusting. I have often seen stores have their own Taspo cards so that customers can use it to buy cigarettes but they usually keep them at the cash register for some security. This was the lowest security system I had ever seen. It won’t stop me from returning but I was surprised to say the least. Author’s Note: This review was published in 2014. The shop was originally named Koya Koya but has changed its name to Gomitori. 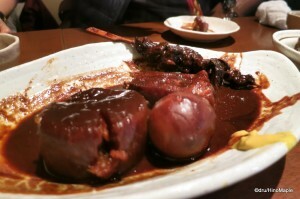 The title and links have been updated but the post still reflects my original visit to Koya Koya. 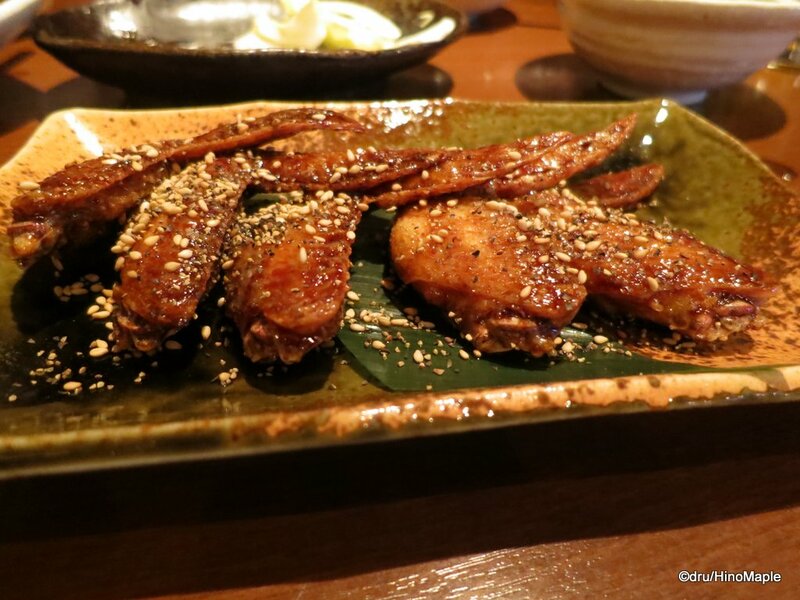 This entry was posted in Chubu Food and tagged Aichi, chicken wings, Doten Miso, food, gyoza, japan, Japanese food, miso, Miso Katsu, Miso Oden, misokatsu, Nagoya, oden, Taspo, Tebasaki by Dru. Bookmark the permalink. I may need to research about Nagoya soon. Seems like we’ll be spending a few days in Nov there.